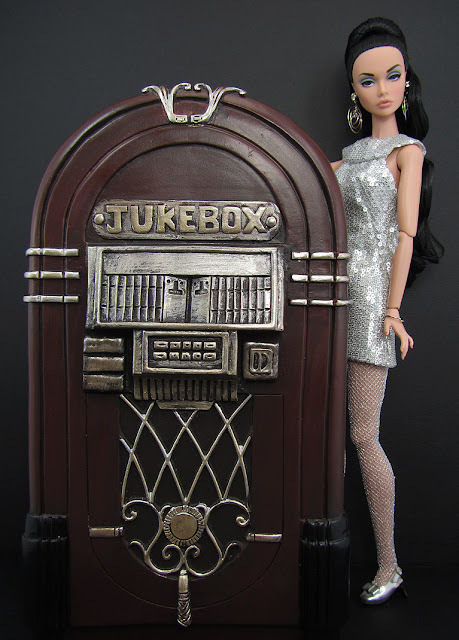 More of "The Happening Poppy Parker"
Ok, this has to be one of my coolest miniature finds...only because I think jukeboxes are cool. Every once in a while, I go to Home Sense for interesting finds. It's like a US equivalent of Marshall's. They sell everything from clothes to cookware to home decor, etc. I assume most of their merchandise are leftover stock or defective items from major retailers, now offered at lower price points. I love going there because there's always something different to look at. 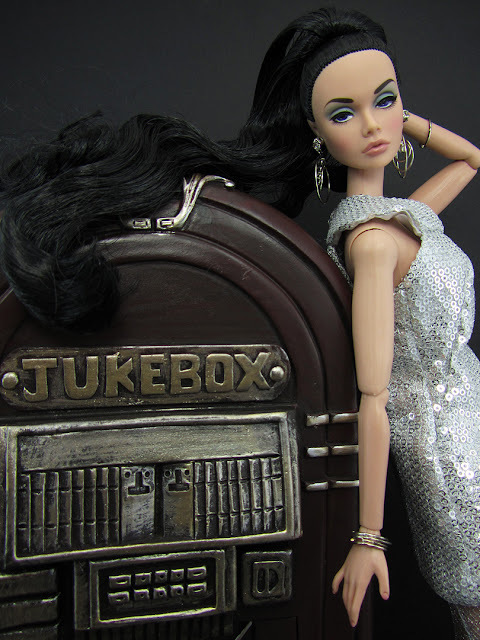 And sometimes, just sometimes, I get lucky enough to find things worth my interest, like my pretty little jukebox! The jukebox is actually a coin bank, with the coin slit on its back. I saw a couple of these at Home Sense and they were all missing the rubber stopper at the bottom that holds and releases the coins. I didn't care. I wanted it for my dolls. I think the doll to jukebox proportion is great. It looks classy too. I wish it lit up but one can't be too picky. Now all I need is an upscale soda shop diorama with a dance floor for The Happening Poppy Parker and I'm set....But then again, maybe I'm getting ahead of myself here. Wow, now I'm jealous. What a great find, you would never guess it was a money box, it's so beautifully detailed and the scale is very good. Poppy looks very happy. Hi you have a beautiful blog,I just followed YOU! !It would be an honour for me if YOU could follow me back at http://dollsvalley.blogspot.in/ :) Thanks!! The jukebox is indeed a great found!! !